S.E.O (Search Engine Optimization) is a single way to improve the visibility of a website in Search Engines like Bing, AOL, and Google. Search Engine Optimization is very essentials for getting the first rank in SERP’s, more page views, more visitors and high revenue. If your site appears in the first list which is searched by search engines then you definitely got more visitors and this traffic is purely organic or unpaid. For better Search Engine Optimization practice first, you need to know how the Search engine works. In this article, I will show you 5 best SEO tutorials websites for beginners. You can easily understand Search Engine Optimization by reading and following these tutorials. This MOZ’s beginner guide to Search Engine Optimization comes with in-depth explanations on how Search engines work. Their guidelines cover all the basic strategies and tips that make website search engine friendly as they say at their sites home page. Moz also provides PRO S.E.O for 30 days trial period. Search engine guide provided SEO 101 magazine for beginners, in this article they discuss about keywords, linking, meta tags, meta descriptions, heading tags, alt attributes, copywriting, links anatomy and more things. 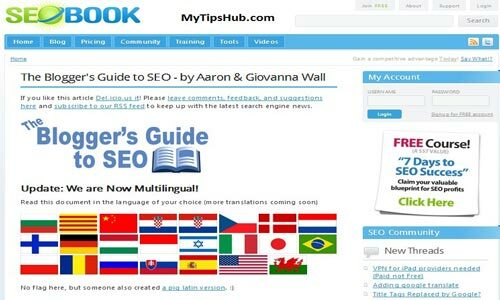 This site provides tutorials for blogging sites with the name of “The Bloggers Guide to SEO by Aaron and Giovanna Wall”. In that tutorial, they put the light on web structure, link building, social media, keywords and analytics of websites. Yoast tutorial discussed very deeply on Search Engine Optimization. This is one of the best comprehensive tutorials on Search Engine Optimization and also presented in videos. It is also a very simplest way to learn Search Engine Optimization for newbies. 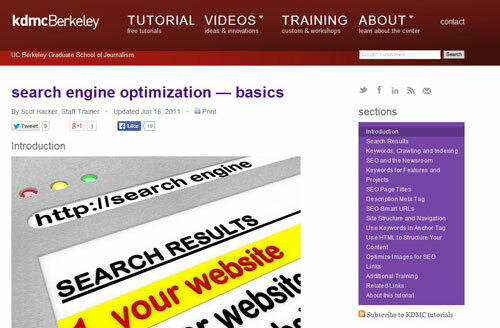 “Search Engine Optimization-Basics” tutorial is made by Knight Digital Media Center. In this training section Keywords, Site Structure, Navigation, Images optimization, related links, and other training are discussed. The above mentioned tutorials are free of cost and if you read these tutorials you can learn a lot of things from them. I hope you will like this article, leave your feedback and questions in the comments section. How to Signup Gmail Account for a Personal Email Address? I am Muhammad Imran (Engineering graduate), another so-called enthusiast blogger - full of laziness :) Doing this blogging thing for last three years and always try to learn new stuff. 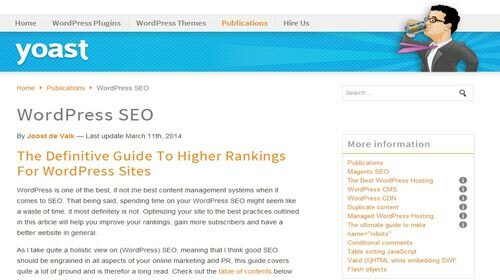 Now, managing many blogs related to Blogging tips, Marketing, SEO, and Product reviews.